In a small bowl, stir 2 tbsp. of the water into the 2 tbsp. arrowroot. 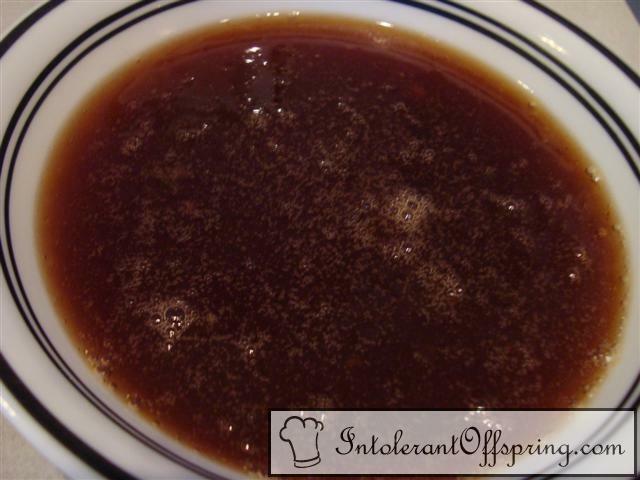 Place the sugar, vinegar, remaining water, "soy" sauce, and ketchup in a medium saucepan; stir and bring to a boil. Stir arrowroot mixture into sauce. Heat until thickened.